During the first half of the twentieth century, roughly one-sixth of the cigars manufactured in the United States were manufactured in York County, Pennsylvania. Some of this production was the work of my great-grandfather Max Kalisch, who was a part of the wholesale tobacco trade in York County from his early years in the United States until his death. When I say “some of this production,” I simply mean that he was in the tobacco wholesale business in York for nearly 50 years — I am no tobacco heiress — but Max did make quite a good living and was part of a very prosperous business during its boom years. 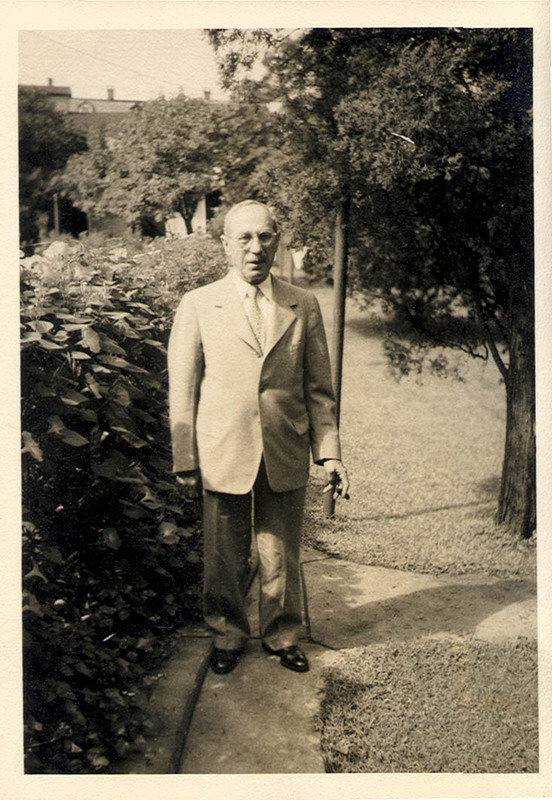 Though Max was in the tobacco trade, this is the only photograph I have of him actually with a cigar in hand, quite unlike another great-grandfather of mine who nearly always had some kind of tobacco product in his fingers when the cameras’ shutters clicked. So while this is not the best photograph ever taken of Max, one of my favorite and most adorable ancestors, I felt it was appropriate. I have no evidence to say what Max did in his hometown of Lemberg, Austria (now L’viv, Ukraine), but soon after his 1899 arrival in the US he was enumerated in the 1900 census working as a cigar maker in Manhattan. By 1905, when he married my great-grandmother Annie Cohen in New York, he was already living and working in the tobacco trade in Red Lion, Pa., the heart of the York County cigar scene. At the beginning of his career as a wholesaler, Max was a partner with an older Pennsylvania native named Abraham R. Reiff in the City Leaf Tobacco Co.; by 1911, he was the sole proprietor. City Leaf was his business until the day he died in its offices in 1947. Max tried to recruit his nephews to join him in the ownership of City Leaf because he knew his own son, who became a medical doctor, would not, but he was unsuccessful and the company died soon after he did. Though City Leaf Tobacco Co. did not become the family legacy Max apparently wanted it to be, his real legacy of kindness and family inclusivity lives on. That is what I will remember him for, and that is what I hope I have inherited from him.